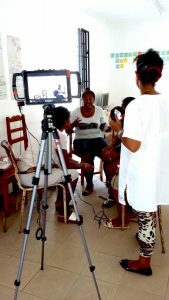 In its work to strengthen civil society and to support the sustainability strategy of Andry Lalana Tohana in Madagascar (ALT MG) the Andrew Lees Trust (ALT UK) secured funds from the Aldama Foundation to provide dedicated training in Participatory Video (PV) production for ALT MG, and upgrade their media equipment. ALT MG brings considerable capability and experience in Communications for Development (C4D) and the use of media in the development context in southern Madagascar. This includes the team’s ten-year experience of the work of the ALT UK (e.g. Project Radio/Project HEPA Oral testimony) as well as subsequent collaborations such as the Village Voices for Development programme. However, over the last few years, ALT MG recognized and voiced their need to update PV media skills, revise methodologies and develop new techniques. Over a number of years, discussions had been underway and collaboration sought with InsightShare (Oxford), a leading agency in training Participatory Video (PV) in Africa and developing country contexts. In January 2018 ALT UK was informed that InsightShare had been selected by Transparency International (TI) to bring PV training to Madagascar. ALT UK was able to introduce ALT MG’s Director, Mme Hanitra, as a participant to the InsightShare Madagascar training and also promoted a role for her in the training as a co-facilitator of the workshop. The first training workshop took place in Tulear over 10 days between 5 au 16 mars 2018 and included practical techniques of video production. 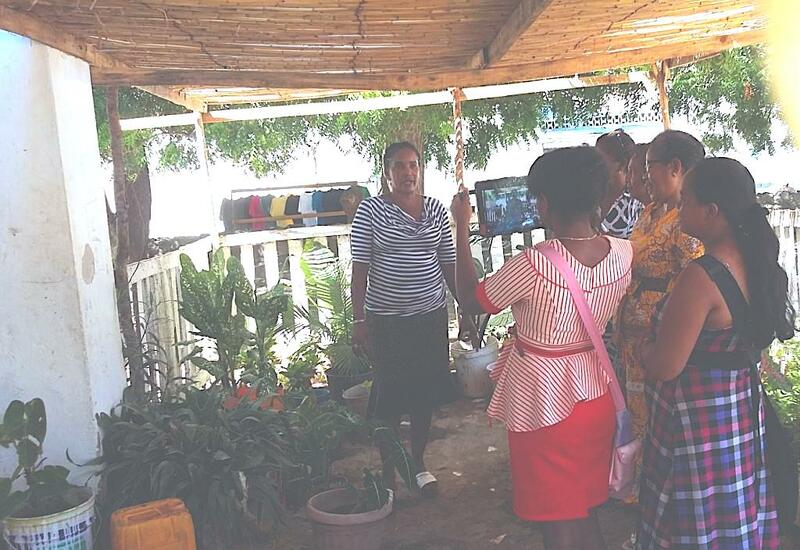 11 women from the Lutheran church mission in Tulear were trained. The women also then prepared their activities leading up to the next training, in June 2018. The second training was focused on editing and finalising the vision of the films the women had produced; also airing them at a meeting with local authorities and the public in Tulear. A meeting in Tana with TI took place in June to report on the two workshops/trainings and discuss future collaboration. Mme Hanitra established a strong role in the workshop process thanks to her extensive experience of working across the south on communications issues and C4D projects. She was able to help orient the trainer and the training workshop within the southern context; and especially with regard to the target theme of women rights to land inheritance as this was subject previously treated by ALT MG in a number of radio programmes for the Village Voices for Development project. 11 women were trained in PV and developed skills in communications using video. 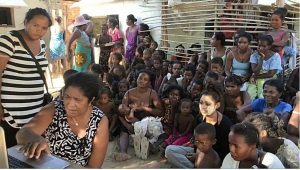 They produced five films about the challenges of land inheritance for women in Southern Madagascar. The films were shown in Tulear at a public meeting and additional opportunities are being sought and discussed to air the films at other public showings in different regions, e.g. by ALT MG in Anosy. 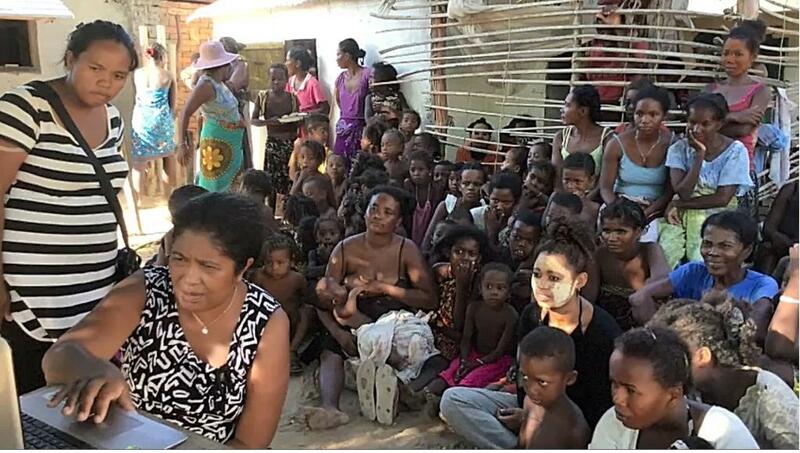 This initiative by Transparency International with training from InsightShare provides opportunities for self-expression and empowerment usually denied women in southern Madagascar, where men dominate decision-making and women are frequently prevented or barred from speaking out in public. The films have helped the women to expose the ways that traditional practices and inherent prejudices against women leave mothers and children homeless and destitute following the death or divorce from a husband because their constitutional rights to inherit land are ignored. The PV process helps develop new confidence and public speaking skills for women, as well as advocacy opportunities to help change attitudes and practices. ALT MG has strengthened its skills set in PV and its position as C4D experts in Madagascar. 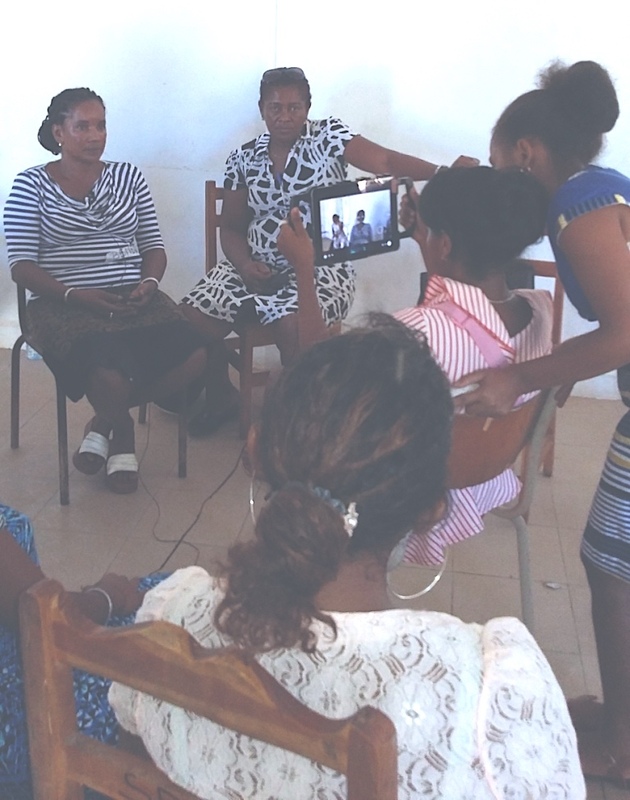 Mme Hanitra established strong links with Transparency International Mg, and with InsightShare, and has positioned ALT MG to be a partner for future work across Madagascar using Participatory Video (PV). The InsightShare training employed state of the art Apple iPad and accompanying video edit software. The feedback on using this technology was extremely positive, not least because the edit could be done on the same instrument as the filming thereby reducing time and difficulties in downloading and transferring images. The use of the iPad precipitated a request from ALT MG to have this equipment for future PV project work in the south. 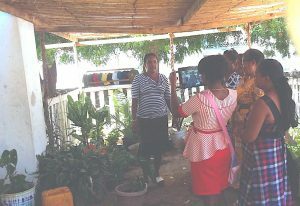 With help from InsightShare, an iPad kit was put together and sent to ALT MG at the time of the second training in Tulear. “ ALT MG is an active member of the C4D network in the South. The pillar of C4D is an evidence-based approach, necessary if you really want to change behavior. Participatory video collects and shows the situation, challenges and achievements using the community’s own words and images. The videos produced will be used to stimulate awareness and exchange and most importantly help advocate community rights to the relevant authorities.” Hanitra Raharimanana, Director of ALT Mg.
“ Having Hanitra on our training was invaluable; it was amazing to have someone local who is so experienced at working at community level. Her presence provided a gateway for Insightshare to make our dialogue and how we introduced topics – like “what is social transformation?” – that much more effective. Hanitra was very good at articulating some of these important ideas using language and metaphors that totally connected with the people. This helped us to go deeper than we might otherwise have been able to do, and to ask some of the questions that are really important for social change…we were working on a sensitive subject with lots of taboos – and being able to discuss these with Hanitra was really useful. So was her help in resolving issues or challenges in the group – as always occurs when people have never worked together before; Hanitra was on the same wavelength as us, which was very affirming. 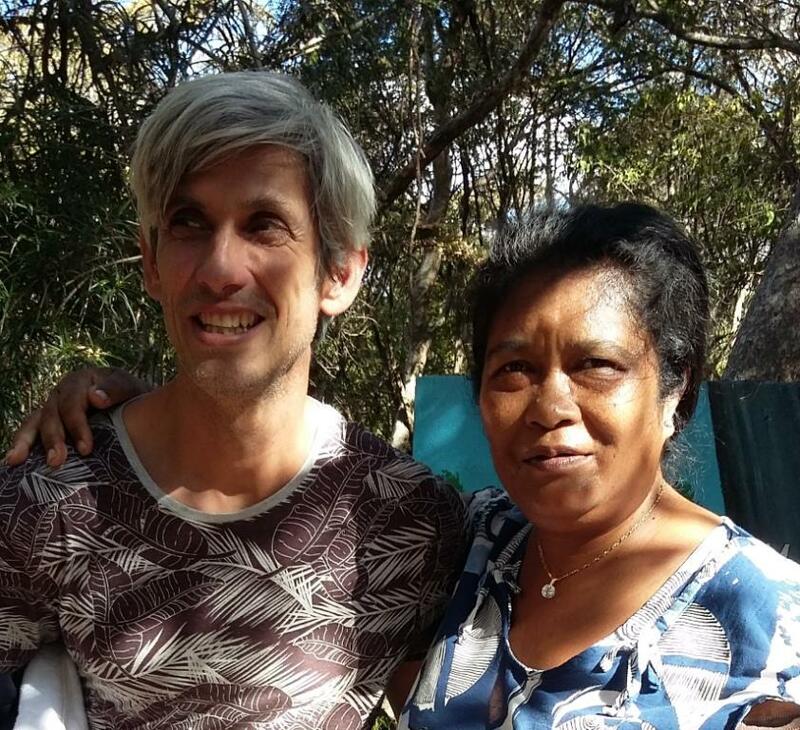 We hope that this PV work can take root in Madagascar, and that we can work with Hanitra again in the future.” Chris Lunch, Director, InsightShare.